With many big shoes to fill, the Seward County Saints have signed eight players with more signatures expected before school begins this August. The Saints gained signatures from in staters from 5’11” Oscar Sigala of Southwestern Heights and 6’2″ Tyler Brashears from Blue Valley Northwest this spring. Former Saint Doug Butler’s son Desmond Butler from Tulsa Edison also signed this spring. Butler averaged 26 points per game and led Edison to a state runner up finish. He was named all tournament. Recently the Saints signed 6’3″ Rafriel Guthrie from Washington D.C’s Cardozo High School. He averaged 27 points per game. ScoutNY.com reports Guthrie “set the court on fire with his energy and scored 17 points in the game. Daveon Boardingham has the potential to be the headliner of the recruiting class. He picked the Saints over the likes of Chipola and C.S.I. The 6’7″ forward is from Chavez High School in Newark, New Jersey which has been fertile recruiting ground for Seward. Division 1 schools Iona, St. Bonaventure, and Niagara were also recruiting Boardingham. The Saints also signed a pair of Wichita City League players 6’4″ Irvin Hollinger of Wichita Heights and 6’2″ Teddie Nolen of Wichita Northwest. Nolen is the cousin of current Saint Marky Nolen. 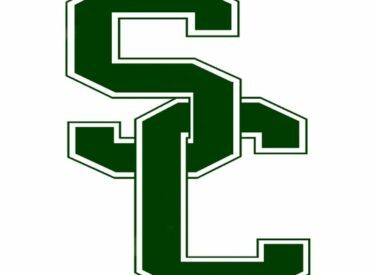 Seward plans on signing as many as four more to their class to join returning Saints 6’2″ Isaiah Thaw (Newton), 6’1″ Spencer Moore (Topeka Highland Park), 6’2″ Marky Nolen (Wichita South), and 6′ Chris Chaney (Liberal). The 6’10” Alex Sturanovic (Subotica, Serbia) will not return next year and will play ball at home. Liberal’s Kevin Livingston will be unable to play after surgery. Seward was 24-9 last year. Assistant Ryan Stock helped recruit several of the players before taking an assistant coaching job at Pittsburg State. Jay Cyriac has recruited much of the class since joining Bryan Zollinger last month.